So I bought an Hermès bracelet dupe on Amazon. Lately, I feel like I keep seeing Amazon designer dupes. And the thing is, bloggers keep saying they’re actually good! That piques my curiosity…I mean, I need to investigate these kinds of things…. 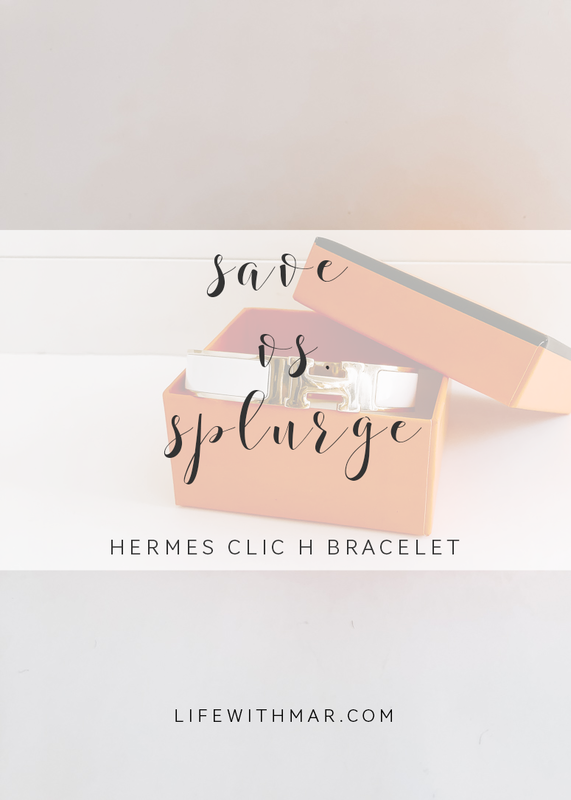 So I ordered an Hermès bracelet dupe myself to see what all the fuss is about. 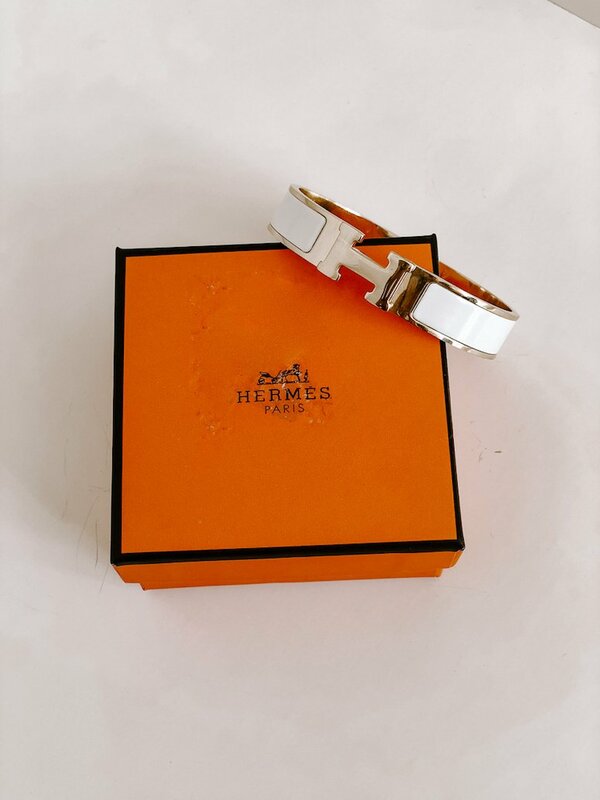 It retails for less than $20 on Amazon, while an authentic Hermes Clic H bracelet is a cool $600. Are Designer Dupes Worth it—and Legal? I just want to clarify one thing first right off the bat: A dupe is not the same as a counterfeit designer item. A dupe is a piece that’s “inspired” by the original, while a counterfeit product is pretending to be the actual product. A counterfeit item really hurts the fashion industry. In short, it’s when someone says it’s Louis Vuitton but it really isn’t. A dupe is someone just making something super similar. Make sense? I’m not here to debate what side of the fence is right. Or even say what side of the fence I’m on. 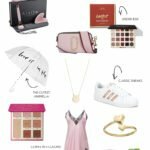 I just wanted to see for myself what the heck is going on with all of these Amazon designer dupes! And for the record, this is my first designer dupe purchase. All of my luxury designer fashion items are 100% authentic. I ordered the bracelet in white, which is like a pearly white with a pretty gloss sheen. You can see from the Hermès website that it’s also got a nice pretty sheen to it. 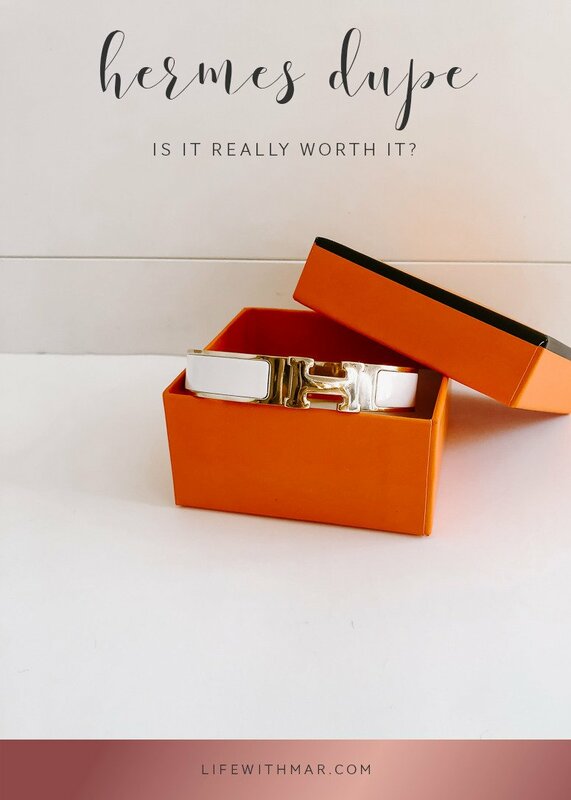 When it arrived, I was honestly surprised it was packaged in…an Hermès orange box! It even has a little “Made in France” emblem on the side. The packaging, in fact, is the same as the original. What’s not as lovely is that there’s a big plastic barcode taped on top of the box. I could’ve done without that. I decided to scratch it off to take these photos and guess what was underneath? A big fat Hermès logo. Another surprise? 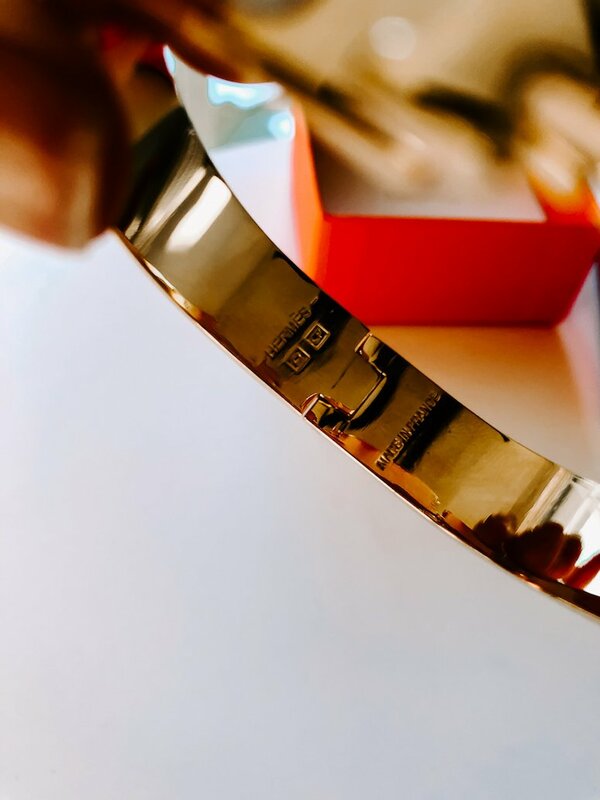 The inside of the bracelet actually has “Hermès” etched inside of it. I was not expecting it as the listing doesn’t say anything about this bracelet being inspired by the brand. Although, let’s be honest, no one is really buying this thing just because. They know what it is. It also clearly says “Made in France” on the inside of the bracelet. It’s really pretty. No scratches, beautiful condition, says Hermès and, quite frankly, looks just lovely. It’s a cute accessory and comes in all the colors the designer bracelet comes in: pink, red, orange, black, white, and more. I believe about 14 colors in all. The bracelet also comes in the 12mm and 18mm versions. And, at this price, you could buy a few and stack ‘em! Seriously, ladies, it’s under $20! I’ve seen a few gals stacking them with David Yurman cable bracelet dupes. The weight of the bracelet is on par with the real thing. And, I’ve been wearing it! What do you think? 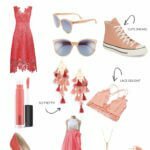 Have you tried any of the Amazon designer dupes? Let me know if you’d like to see more like this in the comments below! Amazon really does have some amazing dupes. I’m surprised though that it came in a Hermes box. 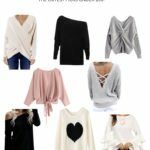 I too am always so hesitant about designer dupes from Amazon – but I have only heard positive feedback! I think it looks beautiful! This bracelet is fabulous! Absolutely love it and the fact that it’s dupe is pretty amazing. 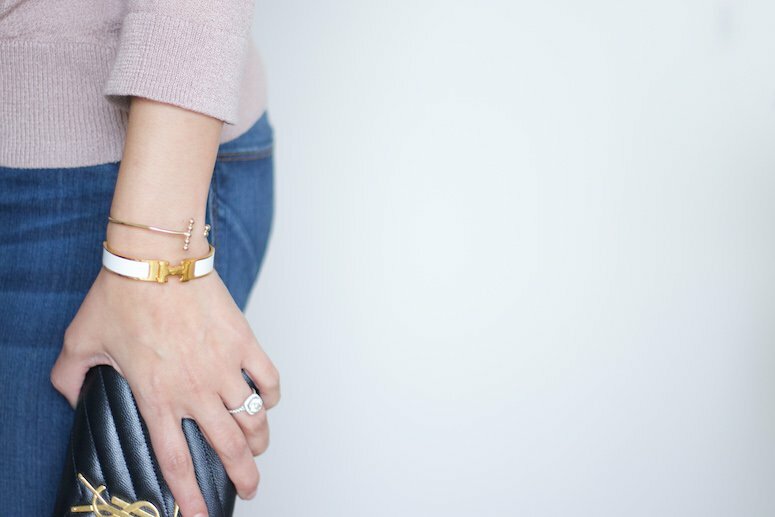 This bracelet is cute and classic looking! I will definitely be ordering this!! Thanks for testing it out and sharing the review! It is a beautiful bracelet and thanks so much for the review! Might just add it to my cart now! This was such a good review! I love it, going to check them out rn. Thank you for this review!! I want this bracelet now! I just LOVE posts about DUPE items because I wouldn’t ever buy a dupe until I’ve seen a review I trust. Awesome post! Thank you so much for sharing this post! I’ve heard that amazon has some great dupes but haven’t purchased myself. I think I need this bracelet though! !